Those who are working in agriculture and farming have sick days too. But, as a rule, farm workers get Agricultural Sick Pay (ASP) instead of SSP. ASP GUIDE: Claiming for Agricultural Sick Pay means you get paid wages while you are ill. This guide explains whether you can get it, how to make a claim for ASP, and how much you can get. The agricultural sick pay scheme governs the rules on paid leave for agricultural workers. But, there are key differences between ASP and SSP. An Example: You need to have worked for at least one (1) year with your employer to get ASP. The period worked would also determine how long agricultural workers get paid when they are taking sick leave. If you qualify for ASP you get paid the Agricultural Minimum Wage. The ASP sickness benefit will include any Statutory Sick Pay that you may also have entitlement to. 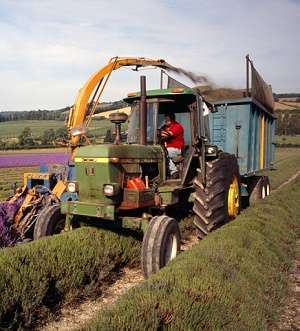 Note: Different rules apply on Agricultural Sick Pay and farm hand pay rates when working on farms in Scotland. Determine how many weeks you can claim ASP using the table. Then, multiply that by the number of days of regular work you do per week. The calculation should include any guaranteed overtime that you work. But, it cannot include any worked overtime that is not guaranteed. The number you work out, tells you how many days you can claim sick pay in a 12 month period. The period starts from the first eligible day of your illness or injury. Barry worked for 28 months in continuous employment. He works 4 days a week. To work out his ASP he multiplies 16 by 4 and gets 64. Thus, he can claim 64 days of Agricultural Sick Pay. Use the first full working day that you are unable to work as the start period for your claim. Likewise, us the day before you go back to work as the end date. These start and end dates can be any day of the week and it can include days that you do not usually work. Your pay must be at least your usual basic pay for all regular working hours. It should include any guaranteed overtime and be for each day that you have ASP entitlement. In some cases you may be taking time off work for longer than you qualify to do so. But, you may be eligible for Employment and Support Allowance or other sick benefits. You should get your money on the usual day that you get paid. Your employer has legal responsibilities to hand over all your sick pay while you are away from work. The same applies to any money owed to you after you start working again. There are key differences between ASP and SSP on continuous employment matters. The rules for ASP say you must have worked for the same employer for a period of at least 52 weeks. This time scale is the qualifying date before the first day of paid absence from work. Note: Changes took place from October 2013 to the employment terms and conditions for agricultural workers. You will not get paid for the first 3 days that you are off sick. The exception would be if you are away from work for longer than a total of 14 working days. An illness that you get (no matter what caused it). An illness or incapacity that you get caused through pregnancy or maternity. Most injuries that happen in the workplace. Injuries that happen while you travel to or from work. Recovery from a surgical operation caused by an illness or injury that you suffered at work or while travelling to or from work. Note: Being sick due other reasons mean you might qualify for Statutory Sickness Pay benefit. Your employer handles Agricultural Sick Pay once you inform them that you are ill or injured. Taking more than 8 days off work means you must provide your employer with a medical certificate. Most workers understand this as a fit note issued by a doctor. Further information and advice is available from the pay and work rights helpline.